Greece will not give up hope until all Cypriots can live together in harmony and security in a federal state within the framework of the European Union, Greek Foreign Minister George Papandreou, said here on Friday, adding that UN resolutions on Cyprus must be implemented. 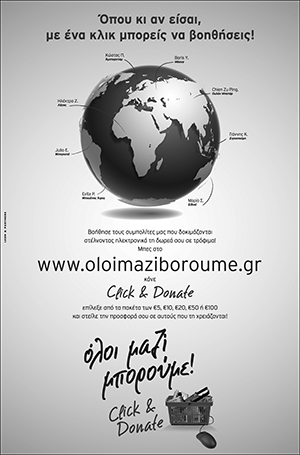 ”On May 1, 2004, Cyprus will fulfill its major ambition of becoming a full member of the EU”, Papandreou said addressing the 58th session of the UN General Assembly, adding that ”we hold out the hope that the Turkish Cypriot population will also enjoy the security and prosperity that EU accession will bring. It is possible”. 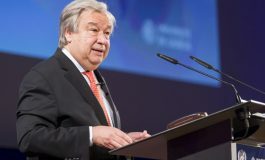 He added that ”over the years, Greece has actively supported the efforts of the Secretary General for a comprehensive settlement, in conformity with the relevant UN Security Council resolutions and the principles on which the EU is founded (acquis communitaire)”, stressing that ”these resolutions must be implemented”. 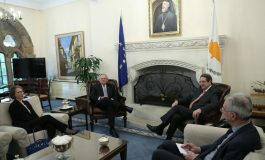 The Greek Foreign Minister said that ”we see a common desire for building a common union where Turkish Cypriots and Greek Cypriots can live together in peace”, adding that following the lifting of restrictions on free movement in April, ”thousands of Cypriots seized the opportunity to cross the so-called ‘Green Line’, meet with each other and demonstrate that it is possible for them to share a common future”. He added however ”this easing of restrictions is not a substitute for a comprehensive settlement to the island’s political problem”. ”We will not give up hope until all Cypriots can live together in harmony and security, in a federal state with a single citizenship, without foreign troops in its territory”, Papandreou said. Foreign Minister George Papandreou also stressed the need of upgrading and strengthening the role of the UN, which must have the ”leading role” in shaping global developments, security and peace issues. Papandreou referred to the statement by UN Secretary General Kofi Annan for the need to create new institutional frameworks for a more effective functioning and mission of the international organisation’s bodies. The foreign minister spoke of the prospect of Iraq’s reconstruction and presented the positions of Greece and the European Union regarding the ”responsibility and work” the UN must have. 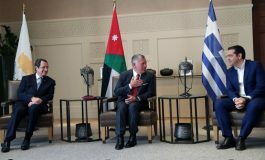 He mentioned the efforts of Greece and Turkey to create a ”new era” in relations between the two neighboring countries and referred specifically to the latest agreement on the removal of landmines.